The adorable and classic frog hat has been updated and is now available FREE to everyone!!! This darling hat was one of my first patterns. 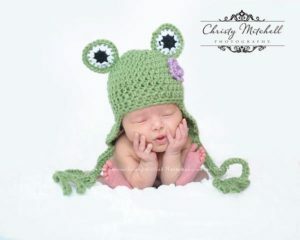 The cute little frog feet is what set this apart from most frog hats. I have made many of them over the years and each time, they simply turn out, adorable! 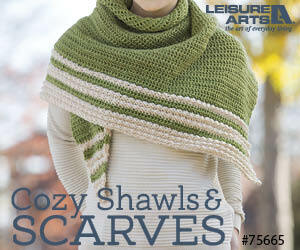 Now you can get the pattern (which includes sizes from newborn up through child) for Free on Ravelry and Craftsy. 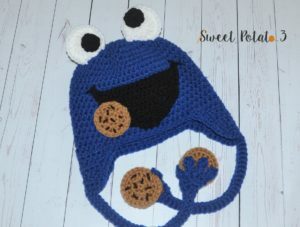 Last week, I had a customer contact me about making a Cookie Monster Hat. 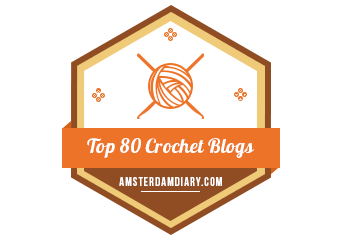 I sat down to draw up the pattern and soon realized it was nearly identical to my frog hat! Yipee!!! 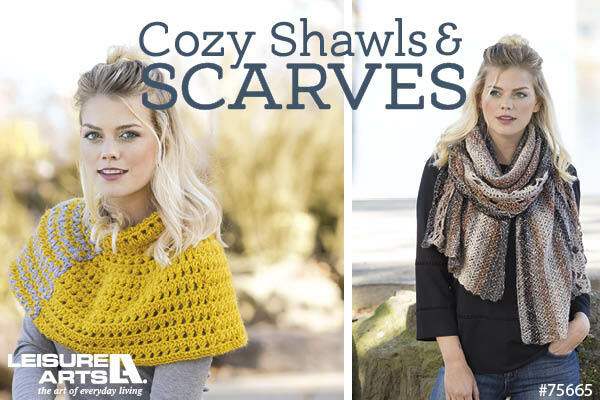 I quickly used the same pattern with just a few minor changes and Ta Da!! First off, I followed the Child’s size Frog Hat Pattern exactly using blue yarn. Then I crocheted the eyes solid white and made a simple black round piece (with 7 hdc in the circle) and sewed them onto the eyes off balanced. R5: ch 1, sc across entire row and around entire mouth piece, sew onto front center of hat. Make sure when you reach the top corners of the mouth to embroider a small smile line, secure with a knot and weave in all ends. 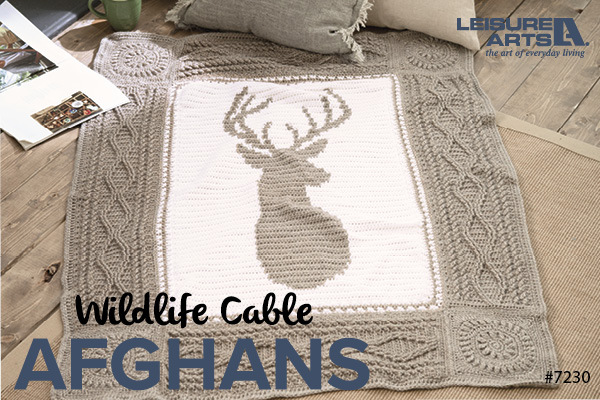 If this is your first piece, dark a darker color yarn and embroider small lined to represent Chocolate Chips. Repeat R1-R3, lay your first piece on top of your current piece and slst through the sc from R3, working through both circle pieces. This just reinforces the cookies. Make 2 cookies and sew onto the hands (or frog feet). For the cookie next to the mouth, just make one side and sew onto the corner of the mouth, there is no need to have it stronger so do not make the back side of the cookie. 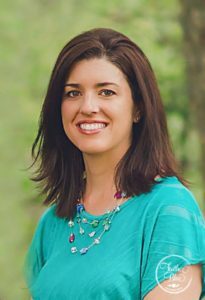 I hope you found this fun! 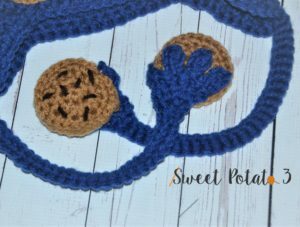 I love seeing how others have taken a Sweet Potato 3 pattern and customized it in their own unique way. If you have done this, please share it with me, I love to be inspired! Precioso, te quedo muy hermoso, gracias linda, saludos. Your patterns are adorable. I made an Elmo hat for a little by who has leukemia and Down Syndrome. He loves his hat. 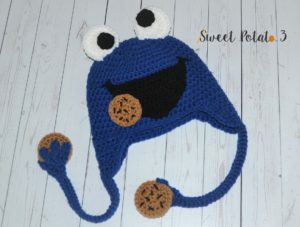 I am going to make the Cookie Monster hat this weekend. Hopefully will buy the bull dog and there was one other one. Thank you again.